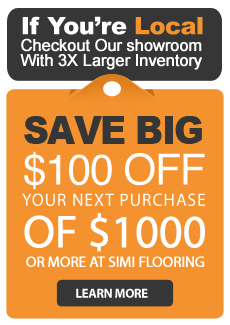 Flooring 101 Simi Valley : Which Rooms are Best for Hardwood Flooring ? Few types of flooring will add more class, style and value to your home than hardwood; however, some rooms are more suited to hardwood flooring than others. While there are many types of hardwood and a wide variety of finishes available, as a general rule, the following rooms are your best candidates for hardwood floors. As one of the most visible parts of your home, your dining room will set the tone of your interior design and no flooring will make a bigger difference than hardwood. Apart from providing the perfect look for any occasion, hardwood is also resilient, warm and easy to clean, making it the ideal dining room floor. Hardwood will make any lounge room look stylish and feel welcoming, creating the ideal atmosphere regardless of whether you want to socialize or just relax. A fantastic complement to almost any color scheme, hardwood is also extremely durable and easy to clean, perfect for those who live in busy households. Any decent bedroom needs to feel cozy and no flooring will create an intimate vibe quite like hardwood. Your hardwood floors will add a serious dose of style and class, while also being warm, smooth and comfortable for bare feet. Unlike carpet, hardwood is also a hygienic flooring option, as apart from being easy to clean it won’t harbor dust, skin and other particles that pollute the air. Being a natural material means that hardwood can be vulnerable to the elements, particularly heat, light and moisture. While you can take precautions to safeguard your flooring – for example, by using rugs, mats or hanging curtains – it is wise to avoid using hardwood in areas such as your bathroom or laundry room. Whether you are renovating your home or having a new place built, hardwood flooring can provide a significant boost to the look, feel and function of almost any room. Hardwood floors will also increase the value of your home, especially if you have them installed in the right areas.